Like Windows and Mac, Linux is an operating system. 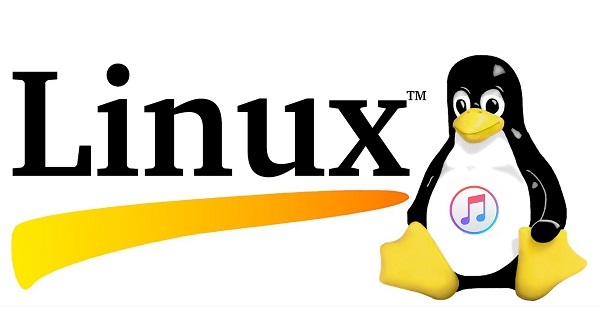 The difference is that Linux is free and open source operating system where users can access the source code and can improve the code using the system. On Linux, a software is packaged for specific distro release, which is a sub-system on Linux that manages the software on your computer. Linux has numerous package managers available to suit nearly any type of user. From new users to hard-core users, you'll find a flavor of Linux to match your needs. If you're looking for one of the most reliable, secure, and dependable platforms for both the desktop and the server, Linux is a solid choice. Playing music is one of the primary entertainment purposes served by our computers. So you have made the switch to Linux. Or you are thinking of making the switch. One of the biggest concerns most new users have is, "Is it possible to play Apple Music songs on Linux?" But as we all know, after subscribed to Apple Music, you can only allow to listen to Apple Music in the Music app on your iPhone, iPad, or iPod touch, or iTunes on your Mac or PC. Obviously, Linux doesn't support playing Apple Music songs. Do you want to play Apple Music songs on Linux too? If yes, I will show you two simple solutions to stream Apple Music files to Linux with the following practical tutorial. Even if iTunes isn't available in Linux as a native application, you can still try to get it to work under WINE. 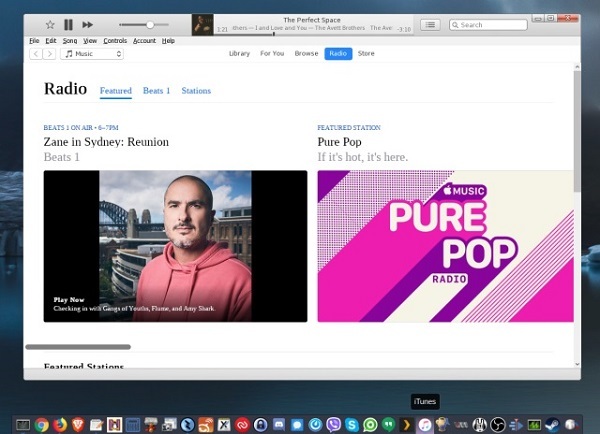 Recent versions of Wine can run iTunes and Apple Music for Linux with no wizardry required. Below are the steps to use iTunes on Linux via Wine and have access to iTunes and Apple Music. 1. Download and install WINE and check to see if your version of Linux needs any extras installed to support iTunes or its files. 2. Download the Windows iTunes installer and run it via WINE. After everything is installed you should see iTunes available in the application menu of your desktop environment. Go ahead and run it. 3. Log into iTunes with your Apple ID and you will be able to access Apple Music on Linux freely. The above solution will work on some Linux distributions, but not all. Some people say they've had success on Ubuntu, but the differences between distributions mean your results may vary. There is another way provided for you to enjoy your Apple Music files on Linux without iTunes freely. There are various good music players for Linux-based operating systems. But Apple Music files are protected by FairPlay DRM AAC files which prevent you listen to the music you subscribed on any other media players except for iTunes. So if you want to play the Apple Music on Linux directly, you need to remove the DRM protection from Apple Music songs first. Here we'd like to recommend you a very simple program - Sidify Apple Music Converter. It can remove DRM from Apple Music songs and convert those protected music files to unprotected MP3, AAC or other audio formats supported by Linux, so that you can transfer the converted Apple Music to Linux for playback. Transfer Apple Music to Raspberry Pi, Amazon Echo, Linux, PS4, iPod Touch, etc. Here is a simple guide to convert Apple Music to unprotected audio format like MP3 so that you can transfer them to Amazon Music for playing on Linux. Before started, you should download the newest version of Sidify Apple Music Converter on your computer. Click Setting button to customize the settings like output format, output path and output quality. Here you can choose the output format as MP3, AAC, WAV, FLAC and output quality up to the highest 320 Kbps to keep the best sound quality. After conversion, you can located the converted DRM-free Apple Music songs and move them to USB drive. Then connect the USB drive to Linux, you can copy these files to Linux machine. Now you can listen to Apple Music songs on Linux without any limitations.